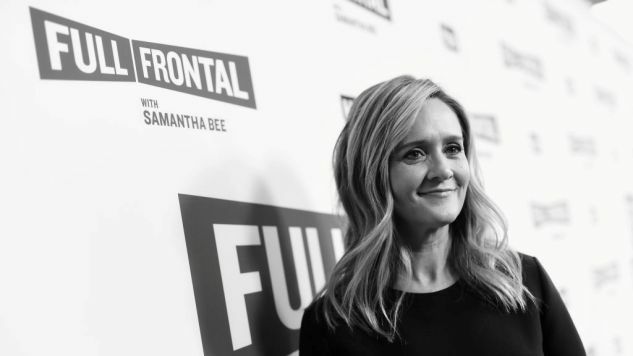 It would have been so easy for Samantha Bee to not punch left in this Full Frontal segment about Life After Hate, an organization that rehabilitates white supremacists. But here she is, punching left. It’s just very disappointing that the comedian-pundits who make these jokes—Bee and Trevor Noah, most recently—don’t even make the scantest effort to understand what they’re talking about. The “nationwide game” she’s referring to is leftist protestors (or counter-protestors) taking direct action against extremists, often armed extremists, who are literally trying to hurt and/or kill people. In Charlottesville, whose specter hangs heavy over this segment, they murdered a woman and brutally assaulted others. One white nationalist fired a gun at a black man and police did nothing. It’s not a game; it’s not about changing minds; it’s about stopping violence. ARMISEN: Look we all know that there are violent white people. BROWNSTEIN: But what can you do, aside from just meaning well? ARMISEN: Donate to groups that combat white extremism. BROWNSTEIN: Also, this might sound confusing, but just try not to punch anyone in the face. Here’s what’s truly nuts about this segment: There is no mention of the victims of white supremacy. As far as it’s concerned, the victims are the white supremacists themselves. It has been less than a month since a Nazi murdered Heather Heyer and here are Samantha Bee, Fred Armisen and Carrie Brownstein on national television telling people to help the Nazis. One of the defining tactics of American government over the last, I don’t know, forever, has been the rhetorical divorcing of white supremacy from public policy. Extremist groups are useful to the ruling class—Democrats and Republicans alike—because they provide a bright, shiny foil: The system can’t be racist because these guys are the real racists. But the carceral state is racist. Mass deportation is racist. Voter suppression is racist, climate policy is racist, labor policy and on and on and on. The rot is in the system. Telling people to hug Nazis is such a flaccid, facile response to extremism both because it pretends that violent white supremacists are a bug in the system, not one of its defining features. Oh, and also it won’t work. But Samantha Bee will never tell you that.